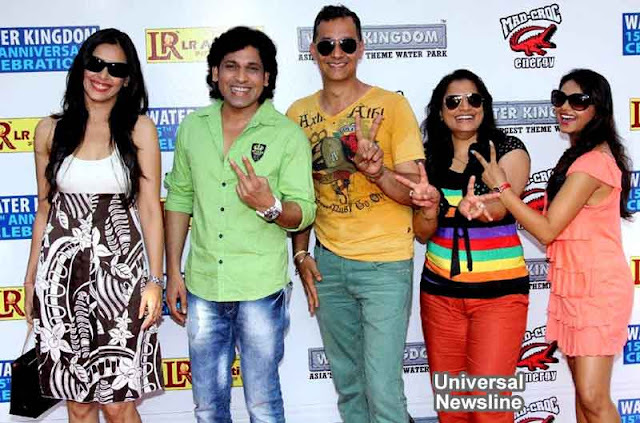 Hrishita Bhatt joined the cast of film Ziindagi 50 50 for its promotion at the Water Kingdom in Mumbai. Hrishita Bhatt was accompanied by Rajan Verma, Supriya Kumari and Ekta Jain. This group just went on to promote Ziindagi 50 50 at Water Kingdom where they performed on film track. Bhushan Motiani Head of Water Kingdom played a perfect host as he appreciated that Hrishita Bhatt was there to support the cast of film. Rajan Verma and Supriya Kumari who make a Bollywood debut have worked in many serials and they enjoyed each others company at the park. The attendance was more than 8,000 people at the park.